Few brands have an aesthetic that speaks to me as much as Urban Decay. I love a brand that can be feminine, empowered, and edgy. 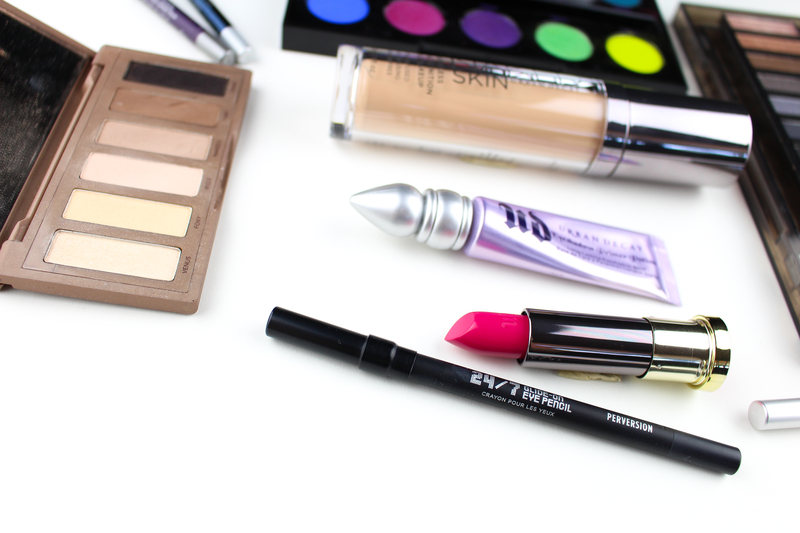 They are able to come up with great neutrals (their Naked lines is pretty much a staple in the makeup industry), as well as super offer some colorful options. 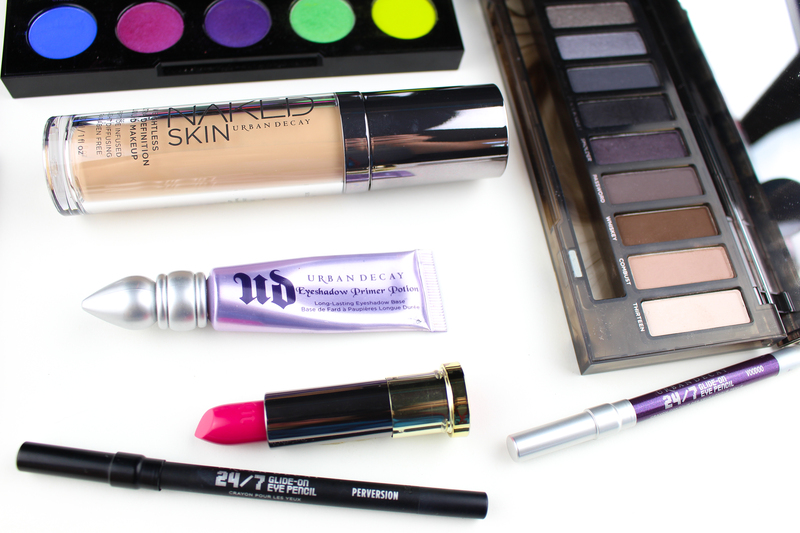 Urban Decay is among my top favorite brands, and there's a lot to talk about when discussing why they're so great! One word sums it up pretty well -- Naked. This line is filled with amazing products, the most famous of which are the eye shadow palettes. (So far) I only own the Naked Smoky palette, and it is among my favorites (I often rotates between this one and Kat Von D's Shade + Light when picking just one palette to take with me on trips.) I find the Naked Smoky to be very easy to blend and work with, and super versatile. Another product from the Naked line that I love is the Naked skIN Weightless Foundation -- this one is my go-to for days when I want more natural, "no-makeup" coverage. I'm also a huge fan of their lipsticks -- the liquid lipsticks are another story (a disappointing one, since Urban Decay rarely ever makes products that I don't love.) But for regular bullet-style lipsticks, this is where it's at for me. Their Vice lipstick in 69 is one of my go-to reds, and the formula is fantastic. Creamy, non-drying, glides on easily, and has very decent staying power. I own a couple of them, including Naked 2 (which is my favorite MLBB shade), but 69 always stands out in my lipstick collection. If I had to pick three Urban Decay products that I think everyone needs, I would pick 1) the Naked Smoky palette, 2) Vice lipstick in 69, and 3) Quick-Fix prep spray. These three items are definitely always part of my travel makeup kit now, and I could not be without them. Urban Decay has been one of my favorite brands for a long time, and one that I'm always excited to try new products from. They have an aesthetic that attracts my eye, and their products are almost always a hit.